Amber Lee Dodd tells an affecting and fairly complex story of family relationships against a setting that fizzes with a sense of real magic. 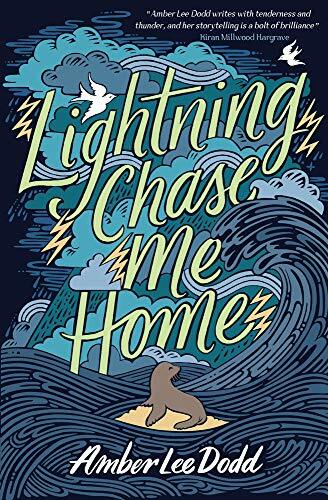 Amelia Hester McLeod, named in honour of not one but two intrepid adventurers, lives on the tiny Scottish island of Dark Muir with her father, grandfather and dog. Her mother left one year before the book opens to resume the life of exploration and travel that she gave up when she fell in love with Amelia’s father. Her mother’s disappearance – Amelia has no idea where she is – has left the young girl sad, confused and angry, while she feels an outsider on the island. Nevertheless, when her father takes her out to the mysterious Serpent’s Tooth Rock on her eleventh birthday, an islander’s ritual, she sparks something in it awake, releasing a magic that puts both herself and the whole of Dark Muir in mortal danger. In addition to the magic, which seems to be trying to reunite her with her mother at any cost, Amelia also has to cope with other challenges, including starting at a new school, where a particularly spiteful bully is out to get her. Other issues covered in the story include Amelia’s dyslexia and her grandfather’s progressive dementia. It could almost have been too much for the plot to sustain, but Amber Lee Dodd keeps all the elements under control creating a strong, sympathetic and very believable character in Amelia, and imbuing the bleak and isolated setting of the island with a feeling of genuine old magic, magic that spills over into Amelia’s school too. It all makes for an enthralling adventure, moments of tension and shock supplied both by the spell Amelia has unleashed and the truly horrible behaviour of her fellow pupil Blair. There’s a satisfying emotional resolution too in which Amelia realises that the island really is her home, but which also sees her reconciled with her mother. This is another thoughtful and positive story from the author of We Are Giants.